In my last post, I emphasized the unique role of a musician in breaking down prejudice and bringing hope to impoverished citizens. Along with this, I mentioned the power classical music has in reaching a wide audience, even an audience like the often stereotyped and diverse inner city group. Music is also a way of building a community in a highly diverse neighborhood that might not believe that they have anything in common (which I will go further into at a later date). Then there’s the fact that, despite all these great factors, arts and music programs are still not generally in high supply in cities like Providence, Rhode Island. But musicians nowadays are realizing this absence, and are trying their best to fill it, to somewhat surprising results. 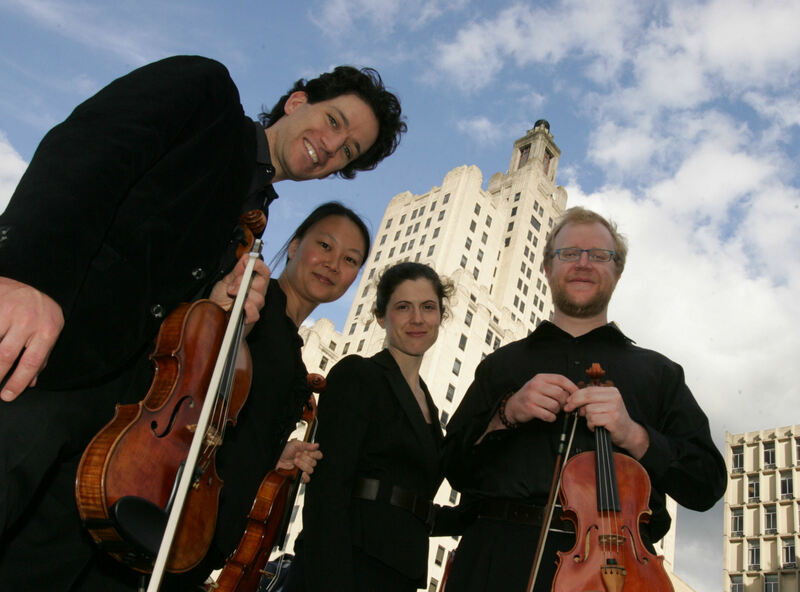 An excellent example of musicians who are doing exactly this, and succeeding, would be the Providence String Quartet, made up of Sebastian Ruth, violist; Minna Choi, violinist; Jesse Holstein, violinist; and Sara Stalnaker, cellist. Based in my very own Providence, RI, the violist, Sebastian Ruth, founded an organization called Community MusicWorks 13 years ago with the belief that they as musicians had a significant role in creating and transforming communities. As a professional string quartet, they are dedicated to integrating themselves into their own backyard, that of the South Side and specifically the West End of Providence, RI, interjecting hope into this inner city community through the relationships they start, the training they offer, and holding free performances for people who otherwise would not have once given a thought to this opportunity. 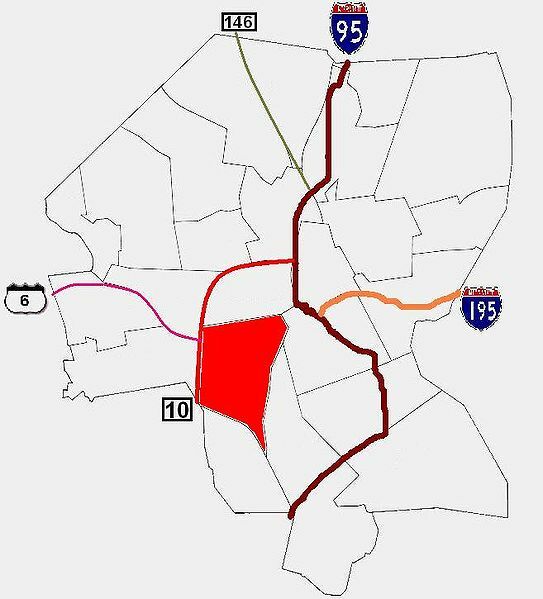 Providence neighborhoods, with the South Side region is in red. Picture from Wikipedia. Perhaps in the beginning, there was some hesitation as to whether this program would succeed. After all, the target neighborhoods were some of Providence’s poorer neighborhoods, specifically those in the region known as South Side, which also contains the West End neighborhood. As a matter of fact, these neighborhoods are some of the most diverse as well, compared to the rest of Providence, with the majority of those with Hispanic ancestry living in the South Side. South Side is 50% populated by Hispanics, with 24.4% African Americans, 12.2% whites, 9.1% Asians, and 2% Native-Americans. Most public school children speak a language other than English as their primary language. West End has similar percentages. According to the 1990 census and the respective Wikipedia entries, one in three families living in the South Side as a whole live below the poverty level, while only 44% have completed high school. 30.3% of families in both neighborhoods currently receive some form of public assistance. The great majority are immigrants, and these neighborhoods struggle with poverty issues. 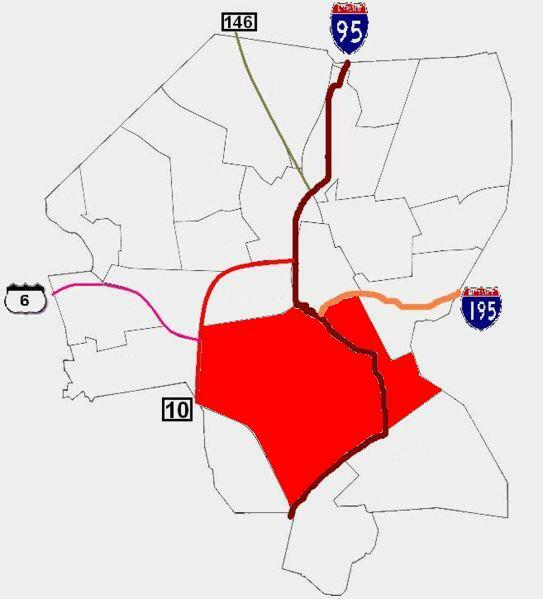 West End neighborhood in red. Notice that it is part of the South Side. Picture from Wikipedia. As I wrote previously [hyperlink], with such a demographic, people were dubious as to the success of this program, doubting whether the residents would be interested in signing up their children for this. Why would people with no exposure to this type of music even be mildly interested in a program like this? While teaching violin to poor kids with little exposure to the arts might seem unusual, Ruth doesn’t think so. It may just seem that way because no one else has tried. Just because these are parents who cannot even think about sparing the money to have their children take music lessons doesn’t mean that they wouldn’t snap up the chance if they could. Just because one would sooner think of these kids joining a street gang than conceive of them attending or even performing at a classical music concert does not mean that the idea is laughable. Ironically, in an article in the New Yorker in 2006, Ruth mentioned a girl who had been studying with them for many years, whose mother had to work various day and night jobs just to make ends meet. Not wanting her daughter to have the same kind of life, she said that she loved the CMW program because classical music was “for people who have class.” Ruth felt that this was somewhat humorous in the light that he was working so hard to undo those stereotypes and tell people that music was not just for people who had “class” but rather something that could be made by anyone, anywhere, at any time. Maybe part of being a musician is this challenging of preexisting notions and stereotypes. In any case, when the string quartet challenged these stereotypes, they and their fellow volunteers as well as other citizens watching this venture realized that there was not much point to these ideas. It was almost a wonder that so many had believed these for so long, when several examples made short work of these flimsy ideas, which had no concrete support to back them up. Maybe the motto is also that you will never know unless you try. Next up: how Community MusicWorks is accomplishing their goal. The Providence String Quartet. 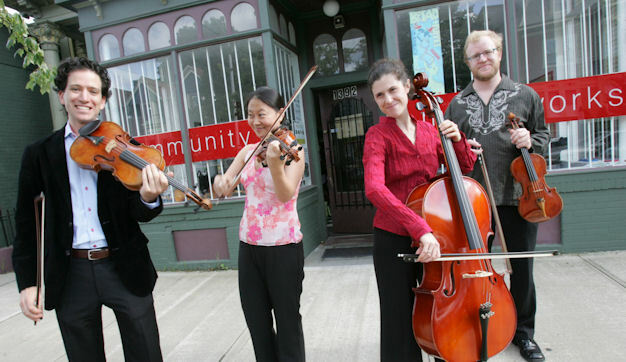 From left to right: Sebastian Ruth, violist; Minna Choi, violinist; Sara Stalnaker, cellist; and Jesse Holstein, violinist. Thank you for sharing! I really believe that music is one of the most beautiful means to transform communities, being able to unify people of all diversity. I pray that such transformation is possibly done in my country Indonesia!